The combination of a flat slab door with an integrated handle profile creates a clean contemporary linear look. This style is all about the door design, it's minimalistic yet still achieves an aesthetic impact. Select white and natural tones for a more subdued look or bold colours for maximum effect. This style of door is finished in highly durable lacquers and looks great in any type of property. 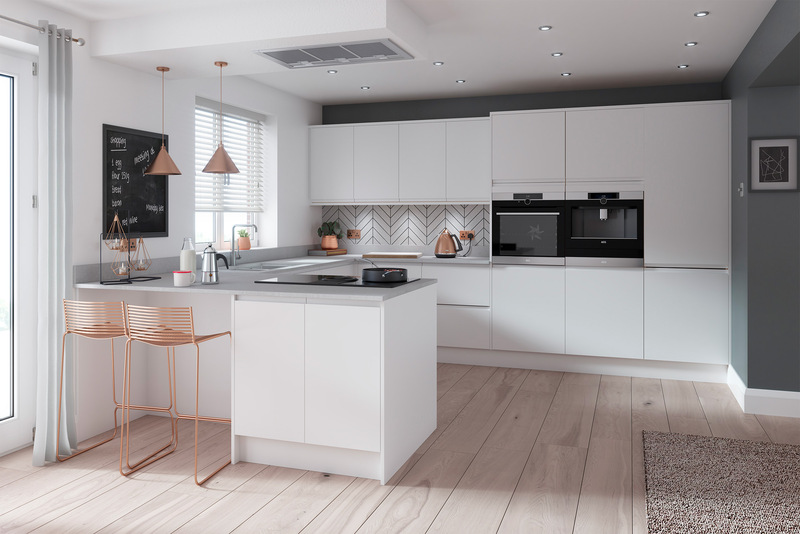 Click to find out what makes DIY Kitchens' Handleless kitchens so good? 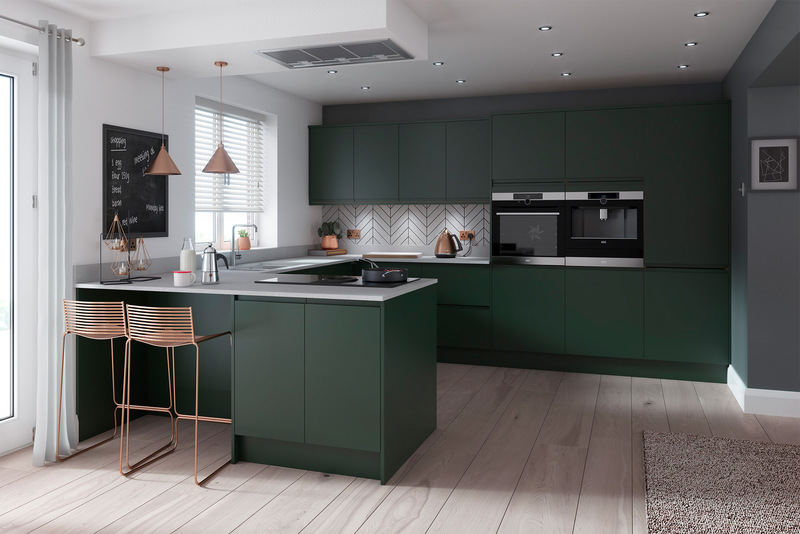 What makes DIY Kitchens' Handleless kitchens so good? 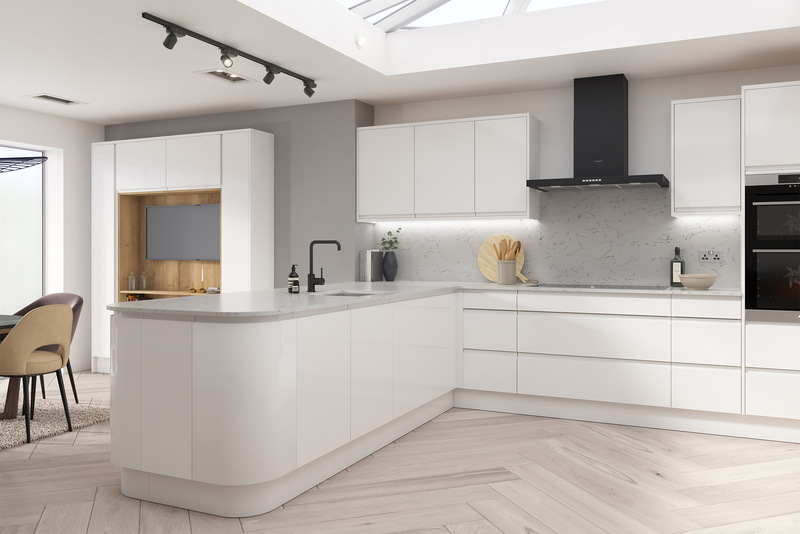 Ten years supplying Handleless kitchens online and over 20,000 happy customers! Luca Bespoke We will match to any colour you desire.